The dolls that resemble humans are referred to as “babybots,” robots with minds that deviate only 10% from human thought and have the ability to process sensory information. 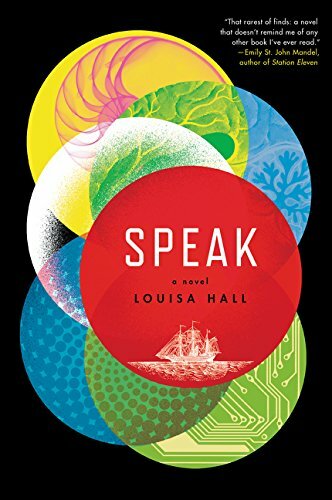 Speak tells the story of how babybots come into being and then describes the aftermath once they have been deemed harmful and removed from society. The book moves between character’s stories taking place in four different time periods, from the 16th century to 2040, and the plot is told through letters, court transcripts, and diary selections from five main characters. Through these various first-person views, pieces of the story behind babybots and the rise of artificial intelligence are made clear. Around the same time that Stephen toils in prison writing his memoir, a young girl named Gaby is slowly losing her ability to speak and move following the mandated removal of her babybot. An outbreak, characterized by stuttering and physical rigidity, has begun among children whose babybots have been ripped away.